While other companies may focus on commercial clients and maintenance contracts, your local Action Auger plumber only performs residential plumbing repair and maintenance. That means homeowners and renters get the highest priority at all times. We spend the time and effort to ensure that you’re satisfied with the work performed. Whether it’s fixing a dripping kitchen sink that’s driving you crazy or replacing an entire bathroom’s fixtures, ‘The Gentlemen Plumbers’ give it their all. It’s all backed by our warranties and our up-front, straightforward pricing. The bottom line is this: we take great pride in our work and in our services to make sure you are taken care of. 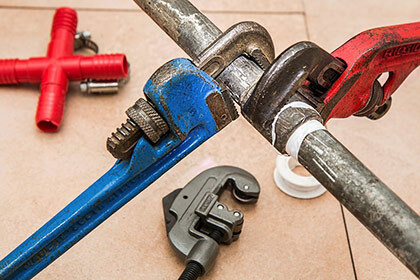 Homeowners clear across Alberta have come to rely on their local Action Auger plumber for home plumbing repair and maintenance – and it’s easy to see why. No job is too big or too small for our home plumbing experts. We offer an array of services to homeowners, making us the easy choice for anyone looking for residential plumbing repair and maintenance. Need your drains cleaned? We’ve got you covered. Roots in your sewer line? We’ve helped out hundreds of clients with the same problem. Need your whole house re-piped? We’re here for you. In addition to fixing what’s broken, your local Action Auger plumber can help make sure that your home plumbing needs are covered when you’re looking to add things like in-floor heating and hot water on demand to increase the value of your investment. Contact your local Action Auger plumber today and see how quickly we can solve your home plumbing problems or help you get started on your next home improvement project.